Thick-headed honey-toned rustic-grained lightweight (a.k.a. 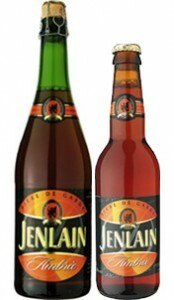 Jenlain Ambree) mired by rigid hop-stricken astringency. Unlike many French ales, lacking wine-y appeal. Instead, light watery flow flattens barley-oats spine and tangy fruit adjuncts for boring finish.